El Niño events are often described as catastrophic climatic incidents that are a result of natural warming of the oceans. These events occurred in the past too, as opposed to catastrophic climatic events that occur as a result of human-induced climate change. Peru has borne the brunt of climatic events as a result of both El Niño and global warming. Just a couple of weeks ago, the New York Times published a rather graphic account of a child sacrifice made by medieval Peruvians in the 15th century, to avert El Niño events. 140 children between the ages of 5 and 14 were sacrificed along with llamas under the age of 18 months. The children and the llamas met their gruesome ends as a result of a decree that sought a sacrifice to appease ancient gods. Some experts believe the sacrifice may have partly helped the ruling authorities to wield influence and fear over the masses as well. Regardless of what might have transpired before the gory sacrifice, this discovery is of historical and archaeological importance. The skeletons were found in good condition and some even had cotton clothes over them. 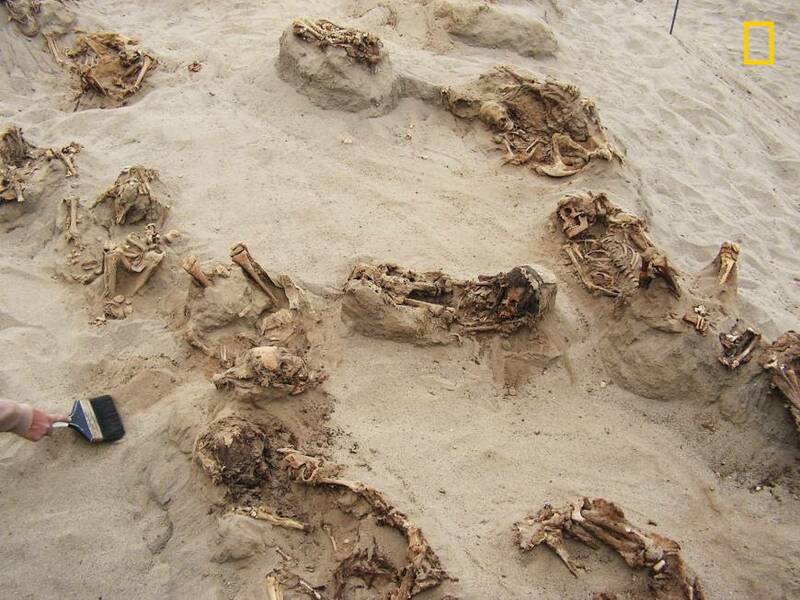 Children were buried facing the west, towards the Pacific Ocean, whereas the llamas were buried adjacent to each child, facing the east towards the Andes mountains. John Verano, one of the anthropologists who was part of the researching team, and a co-author of the paper published in PLOS One, said that the Uhuanchaquito-Las Llasmas sacrifice was done in order to stop mudflows, flooding and torrential rain. Considering how quickly global climate is deteriorating as a result of global warming, these historical sacrifices should be studied as warnings as to what might occur in the future unless attention is paid to reduce carbon footprints. One shouldn’t be surprised if countries went to war over water and food, when climate change results in catastrophes.